Various large construction projects are either ongoing or have been scheduled which is expected to drive an ascendant demand for facilities management. The major sectors are banking, commercial and retail, however there are a considerably lesser number of government projects. According to the report of facility management expo 2015, “As the FM industry continues to mature and develop in the region it is interesting to see the consistency of the responses across the years, as well as gain an insight into the growing stability of a sector often perceived as being affected by the vacillations of the related construction and property businesses”. The building stocks in Middle East region growing in terms of value and volume both which is increasing the demand for facility management services from which the industry can grow and develop. As the opportunities within the industry continue to grow so does the high level competition which is arising the challenges for the established market players to sustain the growth of their businesses. The facility management industry persists to bring out the positive, regardless of regional economic slowdown due to government spending. According to the primary research, more than 60 per cent respondents are expecting that the facility management atmosphere will improve over the next one to two years. However, 36 per cent expect the industry growth and environment to remain about the same. Moreover, the stability in travel and tourism industry is also increasing the number of service providers with enhanced pricing and business models. Goldstein Research analyst forecast the Bahrain facility management market is still in its nascent stage with low awareness levels and majorly dominated by unorganized facility management service providers. The market was valued at USD 0.910 billion in 2016. Further, the market size is set to surpass USD 2.3 billion by 2024, at a CAGR of 12.2% over the forecast period. Although Bahrain is not usually seen as a potential market, there are good possibilities for growth in the banking and commercial sectors. The report covers the present ground scenario and the future growth prospects of the facility management market for 2016-2024 along with the market players’ analysis. We calculated the market size and revenue share on the basis of revenue generated from major players in the Bahrain region. Bahrain facility management market is forecasted on the basis of revenue analysis, product benchmarking and strategic developments of key market players. Based on services type, property services dominated the overall facility management market with a market share of approximated 42.1% in 2016, accounting revenue of USD 384.0 million followed by cleaning services at 30.6% in 2016. Moreover, on the basis of service provider type, single service model still remains a dominant choice over other service models. However, bundled service model is gaining traction among the facility owners to limit the complexity by reducing the number of service contractor. Bahrain Facility Management Market Outlook 2016-2024, has been prepared based on an in-depth market analysis from industry experts. The report covers the competitive landscape and current position of major players in the Bahrain facility management market space. The report also includes porter’s five force model, SWOT analysis, company profiling, business strategies of market players and their business models. “Bahrain Facility Management Market Report” also recognizes value chain analysis to understand the cost differentiation, pricing models to provide competitive advantage to the existing and new entry players. 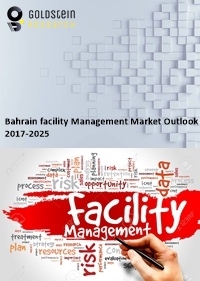 Our Bahrain Facility Management Market Report comprises of the following companies as the key players: Emrill Integrated Facilities Management, Imdaad, Farnek, Saudi Oger, Reliance Facilities Management, Etisalat FM services, Macro, ABM Industries Inc., EMCOR Group Inc., Johnson Controls Inc., and Turner Facilities Management Ltd. According to our Saudi Arabia market study on the basis of extensive primary and secondary research: “One measure of the ‘huge transformation’ that is currently going on within the country with regards to the facility management industry is the rising number of governmental/semi-governmental clients actively seeking licensed international FM service providers for tenders, and barring the traditional O&M contractors.” Bahrain has a structure of low entry obstructions, an easy work culture and a high interest in professional building maintenance in order to attract facilities management companies. According to the report, major driving factor is the expansion of construction industry and building automation. The rising complexity in technology such as smart energy management and building automation further growing the need of facility management services. The Government of Bahrain is promoting real estate development and capitalizing infrastructure in order to attract foreign investment. In addition there is a large scope for developing an organized market. Bahrain is developing rapidly and the local facility management market is booming with a plenty of both local and international market players, who are either already recognized in the Bahrain or working fast to do so. Further, the report states the biggest challenge is to maintain the marginal price and provide better services. As the number of players are increasing rapidly in the Bahrain so does the expectations of quality services of facility operators are also rising. In order to maintain the growth and pricing models, the players are shifting towards the adoption of technology to reduce the labor force. However, technology implementation requires huge investment which is a major challenge for most of the market players as the return on investment (ROI) rate is low in this service industry. Opportunities are inadequate and competition is high are some of the other concerns faced by facilities management companies planning to set up here.